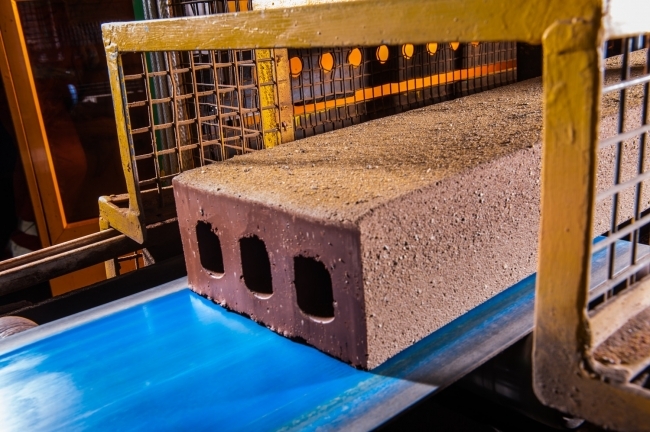 With a 200-year brickmaking history, Ibstock Brick is now the UK’s largest manufacturer of clay and concrete building products, employing over 2,600 people in the UK and USA with annual sales of almost £430m. 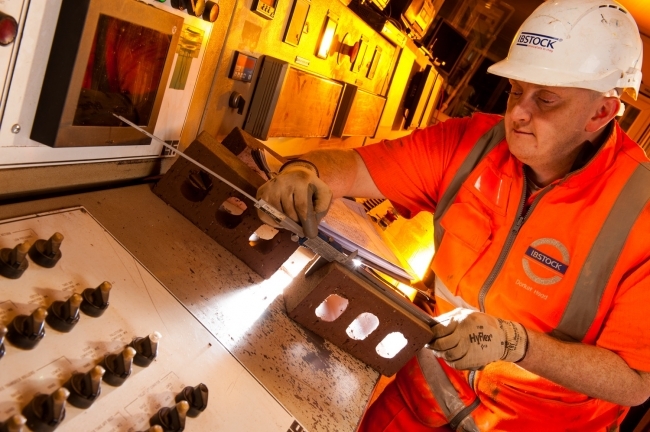 After a period of 16 years in private ownership, Ibstock plc is now one of the biggest building materials businesses quoted on the London Stock Exchange. 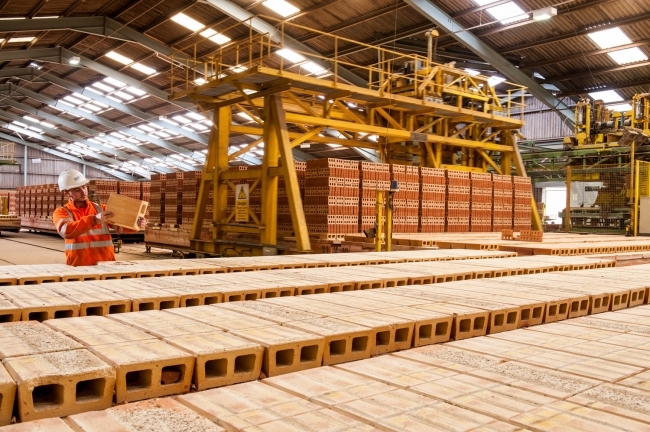 The company’s Dorket Head site near Nottingham has been producing bricks since the 1860s and, following modern re-development, now has an output in the region of 95 million bricks per year. These are produced exclusively from materials extracted at its on-site quarry. In the brick-making process the extracted clay is crushed and ground then formed into bricks by extrusion, wire cutting, drying, and firing. Water is added to the natural clay together with sand or anthracite and other pigments to obtain the final desired colour and texture. It is then compressed, shaped and extruded in a continuous strip before wire cutters then separate it into individual bricks. Originally, the plant was equipped with liquid ring vacuum pumps, but the need to achieve a faster production line and increase output levels demanded more suction power. This would have meant installing substantially larger equipment of the same type. As Daryl Leivers points out, “To run faster, we needed more volume.” However, it became clear liquid ring pumps of that size are susceptible to extreme heat conditions, and the process environment demanded an alternative source of vacuum to achieve the desired upgrade. The company looked at all the vacuum technology options available, including rotary vane and dry claw machines, before opting for oil-injected rotary screw pumps from Atlas Copco. Based on proven compressor screw technology, they provide significantly higher performance levels and reduced maintenance, noise and heat emissions compared to other conventional oil-sealed and dry vane pumps. What’s more, with the application of variable speed drive it was possible to tailor vacuum production to precisely meet process demand. The decision was taken to install two plug-and-play 5.5 kW GHS 350 VSD+ vacuum pumps, one for main operation and the other as a standby machine. The installation was completed with liquid separators and particulate filters, with all equipment subject to a total responsibility service contract with Atlas Copco. Water handling capability was an essential requirement of the new set up. In the humid versions of the GHS VSD+ pumps, which Ibstock required, electronically controlled gas ballast and temperature management allows adaptation to the plant’s specific process and enables the pumps to handle 100 per cent water vapour at pressures above 30 mbar(a). The gas ballast is automatically switched and pre-and-post purge cycles are provided and controlled within the unit. In contrast to ‘on-off’ control standards of other vacuum technologies, the GHS VSD+ machines feature a unique pressure set point control function that ensures the pumps maintain a constant reliable level of vacuum however variable the production demand.